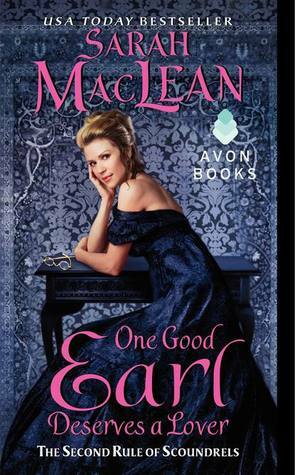 TBQ'S Book Palace: [ARC Review]: "One Good Earl Deserves a Lover"
[ARC Review]: "One Good Earl Deserves a Lover"
I'll be honest--for the first, oh, 80 pages or so I was a bit unsure about this one. It just...wasn't grabbing (and holding) my attention. Why? I'm not quite sure, perhaps it was just my mood at the time. Perhaps it was the story. It's hard to say. But, since Jasper seemed to fall for it, I eventually learned to accept her. It took every ounce of his strength to keep from leaping over the table, lifting her in his arms, pressing her back against the wall, and ravishing her. He opened his mouth to speak, not knowing what would come, but knowing without a doubt, that if she said one more perfectly reasonable, rational, insane thing, he would not be able to resist her. And Cross...oh, I loved his temptation lessons for Pippa. "Temptation . . . " He hesitated, and she found herself leaning forward, eager for this curious, unsettling lesson. "Temptation turns you. It makes you into something you never dreamed, it presses you to give up everything you ever loved, it calls you to sell your soul for one, fleeting moment." The words were low and dark and full of truth, and they hovered in the silence for a long moment, an undeniable invitation. He was close, protecting her from toppling off the block, the heat of him wrapping around her despite the cold. "It makes you ache," he whispered, and she watched the curve of his lips in the darkness. "You'll make any promise, swear any oath. 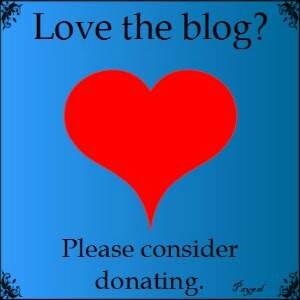 For one . . . perfect . . . unsoiled taste." But the thing that finally pulled me in completely was the interaction between Pippa and Cross. As she tried her hardest to be ruined (before her marriage to another man, I might add) I found myself smirking more than a few times, and perhaps even sighing once or twice as well. The tension and chemistry between them quickly built up, and I loved every moment of it! "You have no idea what I could do to you, Philippa Marbury. The ways I could touch you. The wonders I could show you. I could ruin you without a thought, sink with you to the depths of sin and not once regret it. I could lead you right into temptation and never look back." The words stole her breath. She wanted it. Every bit of it. She opened her mouh, to tell him so, but no sound would come. "You see? I've shocked you." She shook her head. "I have shocked myself." His gaze turned curious, and she added. "Because I find that I would like to experience those things." Plus, who doesn't love to watch the hero, literally, fall to his knees for the heroine? By the way, I want a hero who does this when he sees me undress! His breath caught at the sensation and he froze, knowing with the keen understanding of one who had fallen before that this moment would be his destruction. Knowing he shouldn't look up. Knowing he couldn't stop himself. She was clad in nothing but a corset pantallets and stockings, arms crossed over her chest, cheeks flaming-- the rest wash an irresistible promise. "He might have kissed you, love, but his kiss is nothing like mine, is it?" She shook her head, her reply coming on heavy gasps of breath. "No." He rewarded her honesty with a long lick along the curl of her ear, pulling the soft lobe of it in his teeth, worrying it until she sighed, "Cross." "His kiss doesn't make you cry his name." "No," she said, pressing her breast into his hand, asking for more. "Tell me, my gorgeous, honest girl, does his kiss make you want to lift your skirts and take your pleasure here? now?" "No," she confessed, soft and strained. She looked down at him, blue eyes fairly glowing with desire. "I want you to want me." He closed his eyes at that; trust Pippa to be forthright even here, even now, even as she bared herself to his eyes and mouth and hands. Trust her to strip this moment of all remaining shrouds, leaving it raw and bare and honest. God help him, he told her the truth. He wasn't certain he would do anything but. "I do, love. I want you more than you could ever know. More than I could have ever dreamed. I want you enough for two men. For ten." She laughed at that, the sound coming on a wicked movement of strong hips and soft stomach. "I don't require ten. Just you." Here Jasper (Cross) is referring to "doing it wrong" during intimacy. He couldn't stop himself from saying, softly, "Pippa." Her gaze locked instantly with his. "Yes?" "If he hurts you . . . " He paused, hating the way her eyes went wide at the words. If he hurts you, leave him. If he hurts you, I'll kill him. "If he hurts you . . . he's doing it wrong." It was all he could say. He released her hand. "Roll again." Later, Pippa uses his words against him, but this time in regards to how he's been treating her heart. She looked down at her lap, hands twisted in the white linen of her nightgown and whispered. "You once told me that if Castleton hurt me, he wasn't going it right." She met his eyes. "You're not going it right." 4 STARS! A few bumps along the way, some slow parts, but overall I loved it, great chemistry between Cross and Pippa. 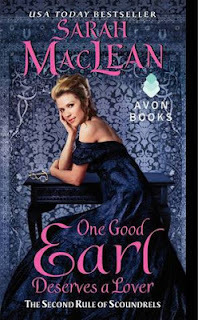 If you love historical romances, Sarah MacLean is definitely the author to try. I've only read two of her books so far, but I've enjoyed both, and I plan on reading more! *NOTE* The quotes used are property of Sarah MacLean. 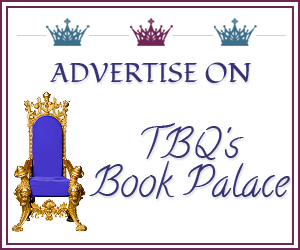 TBQ's Book Palace does not claim them. Soo... did I use enough quotes, do you think? :) I couldn't help it, there were so many I marked when I read this one. I had to share. I'm a QuoteWhore anyway. And a CoverWhore. So this book made me very happy! I love Sarah's' books and this is in my ARC pile...i cannot wait to devour it! glad you ended up loving it despite the slow start! :) I'm confident that you'll really love this one! And to think--these are only a handful of the quotes I marked while reading this one! :D Always a good sign, in my opinion. Lovely review. Loved all the quotes. Loved how fell to his knees! Looking into this novel. I am sure that of when been one of those scenes where he "had Me at"